With the opening you can immediately tell that he’s going for a certain atmosphere, sampling “O Fortuna” to bring some sense of grandeur to his lyrics. And it is strange to hear this big, epic sound that seemingly sits at odds with what he is singing. His is a tale of fighting for every inch of ground that he has in the industry, and if anything, this album comes off as another round in his long bout with fame. He wants to stick to the basics even when he is long past them, and it holds him in place. There is little growth here for him as an artist and it is disappointing. Fortunately he is backed up with some excellent beats and features that really carry the album through for me. It has a surprising amount of range and album highlight “Blue Notes” has him rapping over a mournful blues guitar sample and beat by Dollar Bill Beats. 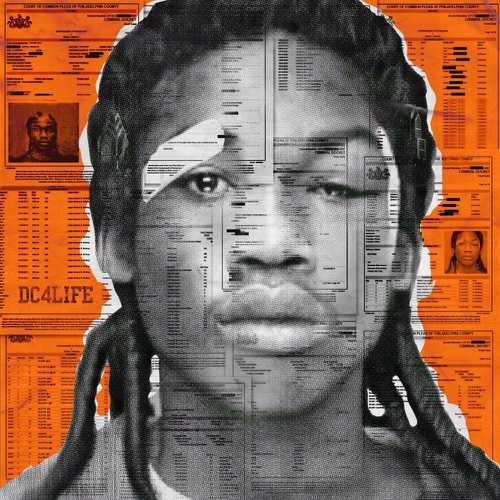 The slow and sorrowful strings bring an odd sense of self-reflection that I really think Meek needs some more of. Joining him is an impressive list of features from Young Thug and 21 Savage to an amazing set of verses from Lil Uzi Vert and Nicki Minaj, who really surprised me with their parts on “Froze.” The features shape the songs they are in and it leads to some really interesting and diverse sounds throughout the album. “Offended” feels like a Young Thug track, and the aforementioned “Froze” is fantastic as Minaj spits blistering lines. Unfortunately Meek is the weakest link here. He’s constantly battling against his beats, almost as if he has to shout over them. It’s dialed to 10 all of the time, and it starts to lose it’s impact. He’s at his best here when he slows down and takes a look at himself instead of treading the same ground he has before. “Tony Story 3” feels like another generic saga in gangsta rap as opposed to something great. The fact is, Meek Mill has made it, even if he doesn’t recognize it. He can relax a bit and spread his creative wings. He hints at this for a bit in this album and I just hope he can take that next step.